Not only counting…but subtraction as well – very clever! You will need: Fruit loops or some other type of colorful cereal with holes, string, shoebox, scissors. And a week from tomorrow, on November 15 , another Laura (Laura Purdie Salas) will be our featured author. So please stop by. And if you’d like to find many more picture book reviews and activities, please hop over to Susanna Leonard Hill’s Perfect Picture Book Friday. This entry was posted in Crafting for Kids, Perfect Picture Book Friday, Picture Book Review, Sharing and tagged Abacus Craft for kids, Laura Gehl, One Big Pair of Underwear, Parenting Tips by viviankirkfield. Bookmark the permalink. I LOVE the cereal Abacus craft for kids, Vivian! Keep seeing this book reviewed and I think it’s a message for me to buy it for grandchildren. Creative and fun activities as always. There seem to be more than a few hilarious PPB picks to split our sides. Thanks! I LOVE the cover and that in itself already cracks me up! Looks like a keeper, as my mother would say. Thanks for sharing! Great book and review, Vivian. Thought I had seen this book around. But one can never tire of seeing that hilarious cover. Great Book and great review. Thought I had seen this before, but one can never tire of its hilarious cover. Thanks Vivian. Glad you stopped by, Diane! 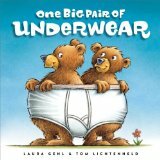 It is such a funny book…I think I need to write a pb with the word ‘underwear’ or ‘underpants’…the kids absolutely LOVE it! Love this Vivian. I got out the last time I saw it on PPBF and loved it. This time I am also going to put it on my PPBF board in Pinterest. Sharing is all fine and good until it comes to that last pair of underwear…. 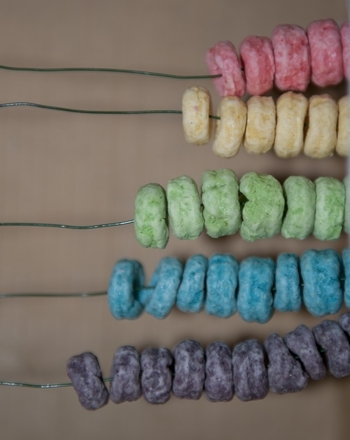 And Vivian – I love the froot-loop abacus. Yummy math….